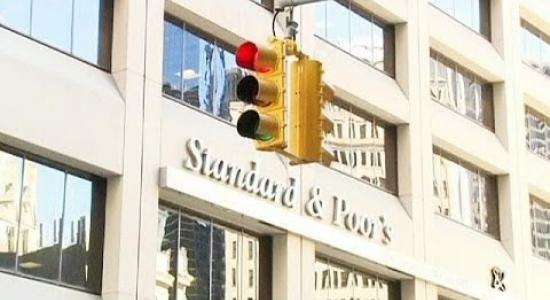 Standard & Poor’s Financial Services LLC, an American financial services company, has cut Russia’s foreign currency ratings on Friday. The company cut both long- and short-term foreign currency ratings, to BBB-/A-3 from BBB/A-2 and said that further downgrades were possible if the West imposed tighter sanctions against Moscow in response to the crisis in Ukraine. Foreign investors have backed out from Russia en masse, taking back $63.7 billion with them in the first three months of this year, further deteriorating Russia’s economic growth. The country’s central bank has spent billions of dollars on keeping the rouble from falling too fast. “Russia is going backwards as reflected by developments in relations with Ukraine and the West,” said Timothy Ash, analyst at Standard Bank. Russia’s debt to GDP ratio stood at around 11 percent at the end of last year, compared to more than 100 percent among countries such as Italy or Greece. Russia’s financial markets fell further on Friday with the dollar-denominated RTS index down 1.6 percent and the rouble-traded MICEX losing 1.3 percent to 1,283.4 points. Russia’s annexation of Crimea through the much condemned referendum on March 16 led to sanctions from the West with warnings from the US and EU of more severe measures if Moscow continued intrusion into Ukraine. President Vladimir Putin acknowledged on Thursday that the sanctions have affected the economy and added that it would take steps against Ukraine if Kiev used military forces in the eastern part of the country. The rouble, which had lost nearly 8 percent against the dollar this year, was trading 0.6 percent lower on the day, both against the greenback and the euro, at 35.98 and 49.65, respectively.